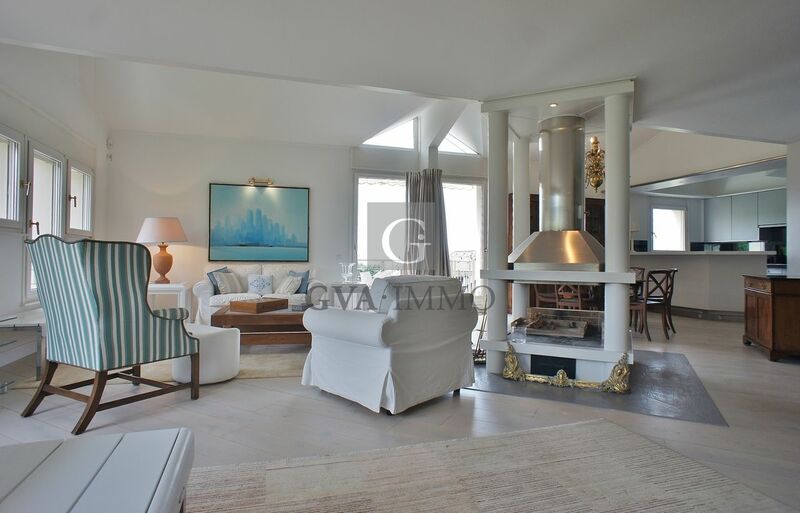 Located in the residential area of the prestigious village of Cologny, this magnificent penthouse duplex apartment occupies the top two floors of a charming small residential building built in the 90’s. 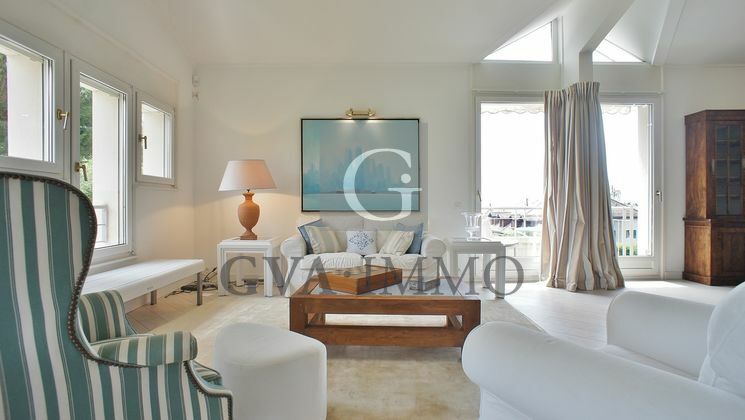 The apartment is in a very good condition, it is decorated in a contemporary and refined style. 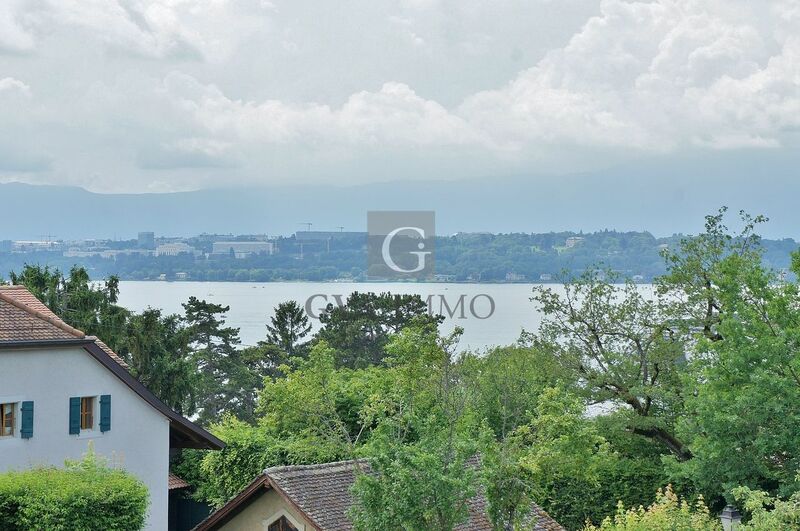 Completely facing south, it enjoys a beautiful sunshine throughout the day, and a beautiful view of the lake, the harbor and the jet d’eau of Geneva. 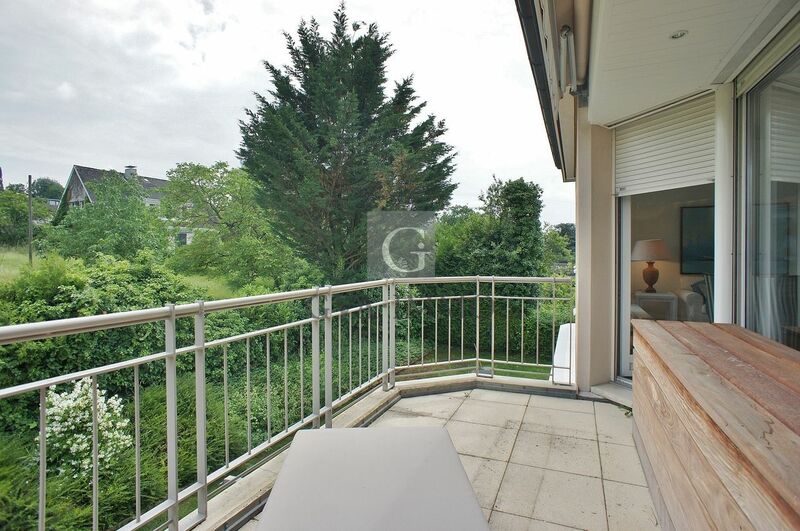 Situated near to the center of the village, it enjoys a quiet and green environment, as well as proximity to amenities, shops and public transport. 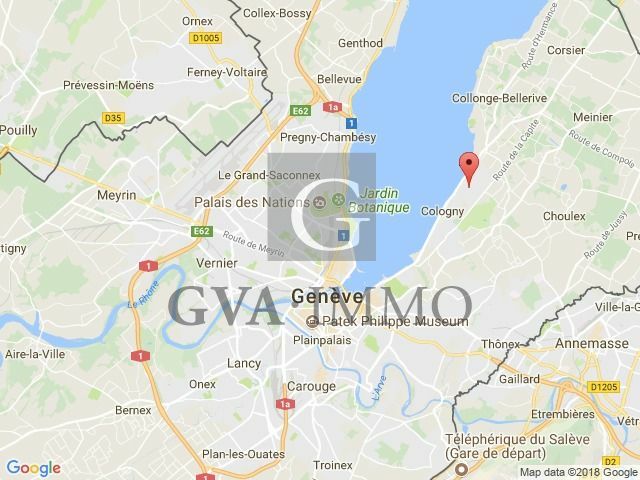 Geneva city center is reachable in a few minutes along the shores of the lake. 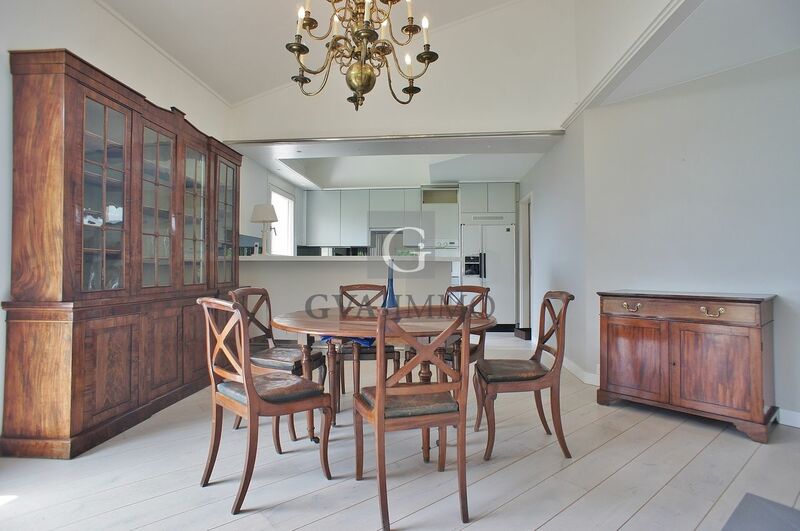 The apartment opens onto a pleasant entrance with cupboards, decorated with a beautiful staircase allowing access to the upper floor and a guest WC. The entrance leads to a beautiful reception room with a central fireplace. It includes a library area, a pleasant living room, a dining room with double height ceiling, and a beautiful kitchen opening onto the dining area. 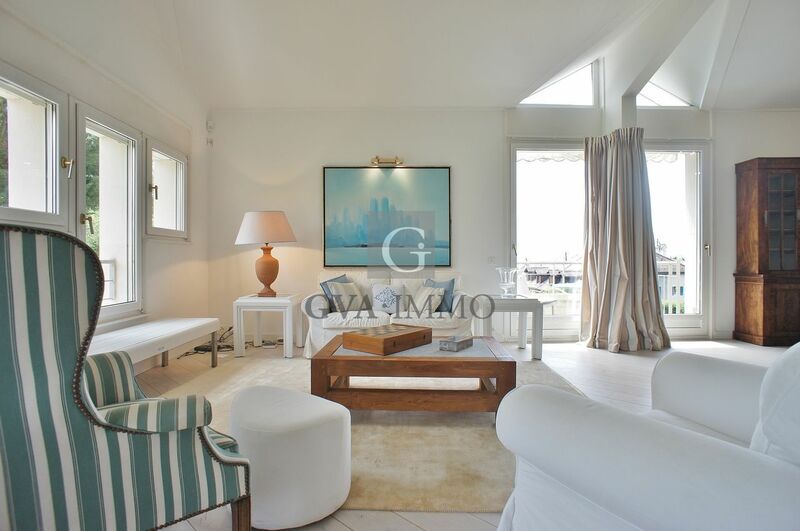 This large reception room enjoys a superb light, a beautiful view of the surrounding vegetation and Lake Geneva, as well as a beautiful terrace and a pleasant balcony. On the same level, the apartment is composed of two pleasant bedrooms each with their own bathroom. 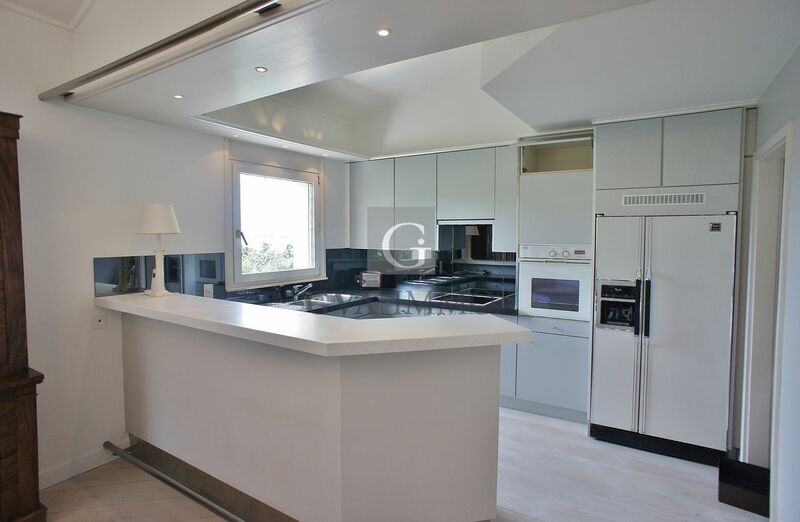 Upstairs, a beautiful and large third bedroom, with bathroom and dressing room, completes this exceptional object. Finally, it is in the basement of the building, are situated a beautiful cellar and two garages. Its ideal location, its beautiful volumes, and its beautiful surrounding, makes it a rare object on sale!